President’s Remarks – November 2018 | F.F.A.M. What a beautiful fall season so far. Cool, crisp air in the mornings and even though they are a couple of weeks late, the colors of the fall foliage remind us of the changing of the life cycles of Mother Nature. I want to thank 1st Vice President Jennings for chairing the October board meeting in my absence. I appreciate people that have a “can do” attitude when asked to do something for the organization. That is what makes this group so great to work with. This is a very busy time of the year for many of us, Fire Prevention Week is just ending, deer season is just beginning, hay rides, bon fires, fall get-togethers, Halloween in just a few days, Thanksgiving quickly arriving, and then the Christmas holidays wrapping up the year. If that does not fill up your calendar, I don’t know what would. In September I had the honor of attending on behalf of FFAM the dedication of the new fire station for the Westran Fire Protection District. 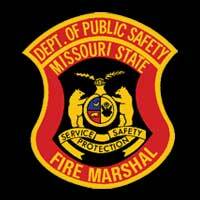 A beautiful station and great people committed to reducing the loss of life and property in northwest Missouri. Good Job! I also had the privilege of attending the annual Southern Stone County Fire Protection District Auxiliary’s Chili Cookoff on October 7. A great fundraiser and a great group of friends helping friends in Southwest Missouri. Keep up the good work. 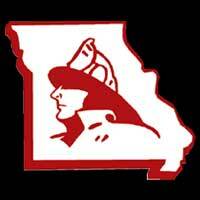 In addition, the FFAM Board of Directors is heading up the 2019 Convention Committee that will host the convention in Sedalia, Missouri, in April 2019. Please become involved in this great work. The convention is only great if all of us work to make it great. I am looking forward to an excellent convention. FFAM annual dues will be sent out soon if not already. All membership renewals are due January 1, 2019. Secretary/Treasurer Jaime Miller has included in the notices a list of membership benefits. 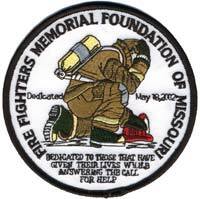 FFAM offers the largest amount of benefits than any other state fire organization, all for $10 a year, of which $3 of that amount goes to the Fire Fighters Memorial in Kingdom City. 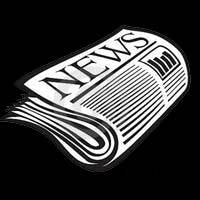 The FFAM Board of Directors continues to look for additional benefits for its members. If anyone has any suggestions, please contact your district director. The FFAM Directors are currently working on the 2019 budget and I want to remind all directors and committees that your request for funding is currently due to 1st Vice-President, Chief Larry Jennings of the Johnson County Fire Protection District. 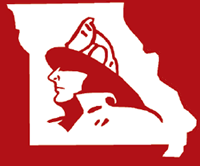 We will be voting on the 2019 proposed budget at the December 2, 2018, board meeting in Sedalia, at 9:00 a.m. at the fire station. Other items that are due for submission soon are the nominations for awards and scholarships. You can find the applications on the FFAM website or in upcoming newsletters. Please take the time to nominate deserving individuals for these important awards. These are just a few of the excellent benefits I was talking about earlier. I would like to remind all committee chairpersons, to please be meeting and discussing your assignments and to forward to me the results of your meetings. I encourage all FFAM members, if you have input, to please contact the appropriate committees or director with your thoughts, and opinions. This will insure statewide participation and fairness to all our members. If you experience any difficulties, please contact me. FFAM’s success depends on the efficiency of the committees. Being that this edition of the newsletter will be the holiday edition, I wish everyone a very Happy Thanksgiving and a Merry Christmas. All of us have so many things to be thankful for. May joy and happiness follow you all the days of your life! If there is anything you need from FFAM, please do not hesitate to contact one of the officers or directors. We are here to serve.